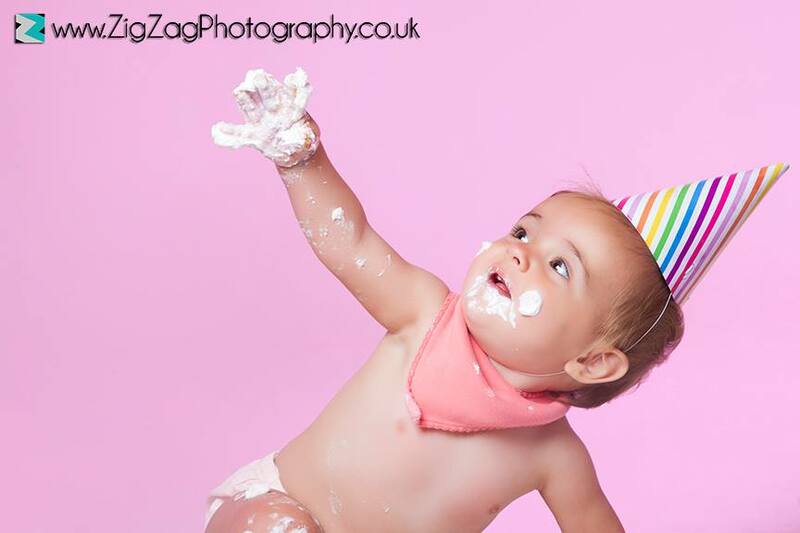 For £395 we are offering a fully inclusive cake smash package where you will get an ideas consultation with one of our photographers and we will then source all props needed for a themed cake smash session including the cake. 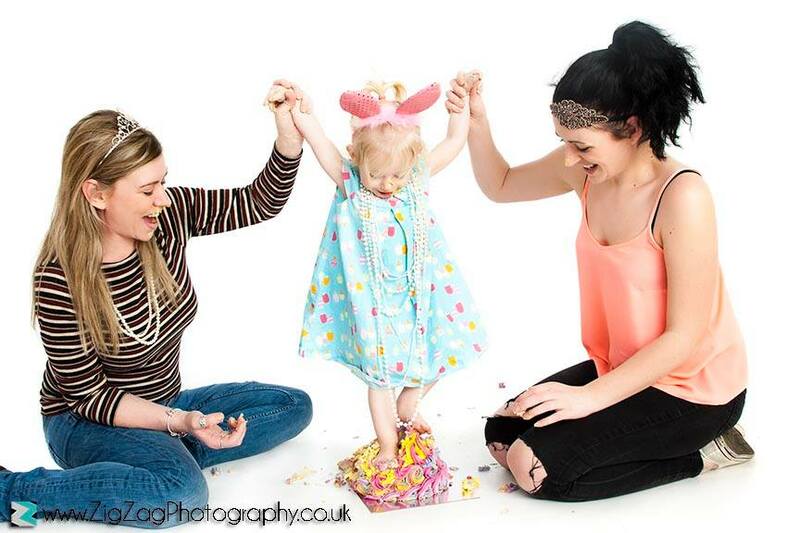 We will then provide you with 20 digital images from your shoot. T&C - £100 non refundable deposit is payable upon booking. The balance is then due at the start of your session. These sessions will need to be booked at least 4 weeks in advance. Sessions are bookable for week days only. We will do our best to work with your chosen theme. 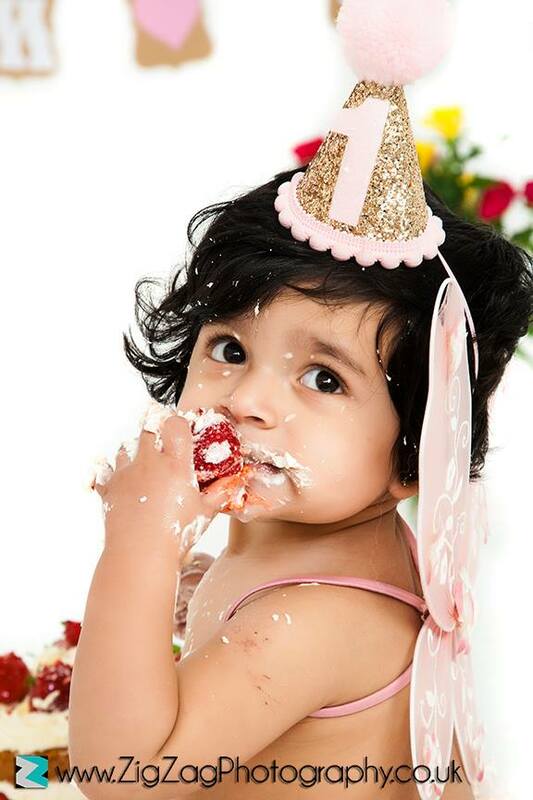 You will need to provide us with any dietry requirements for your child. 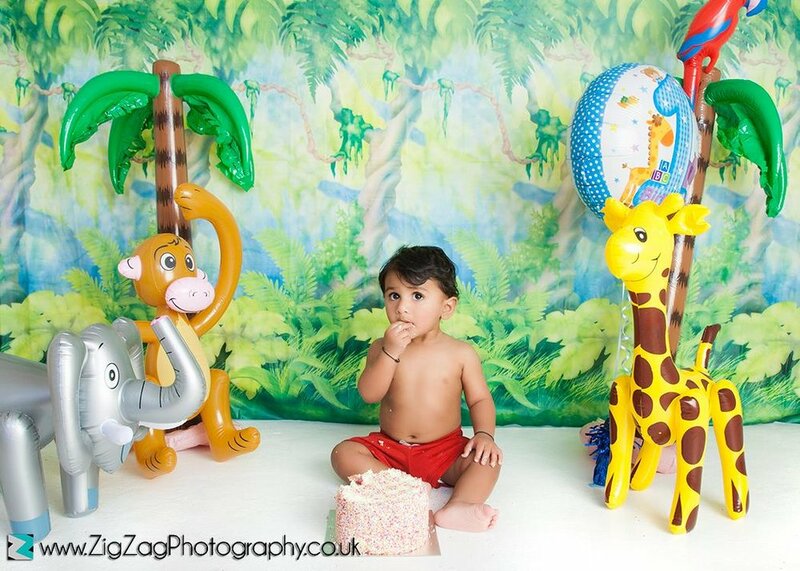 You will be provided with 20 digital images from your shoot which you will receive via email. 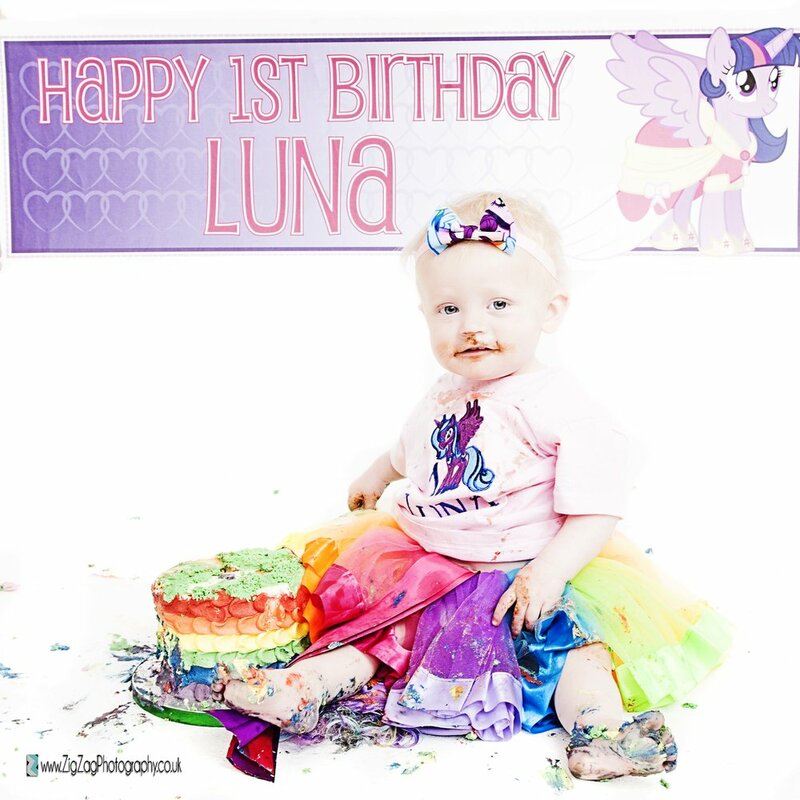 We can guarantee the print quality of your digital images up to a size of 10"x8". 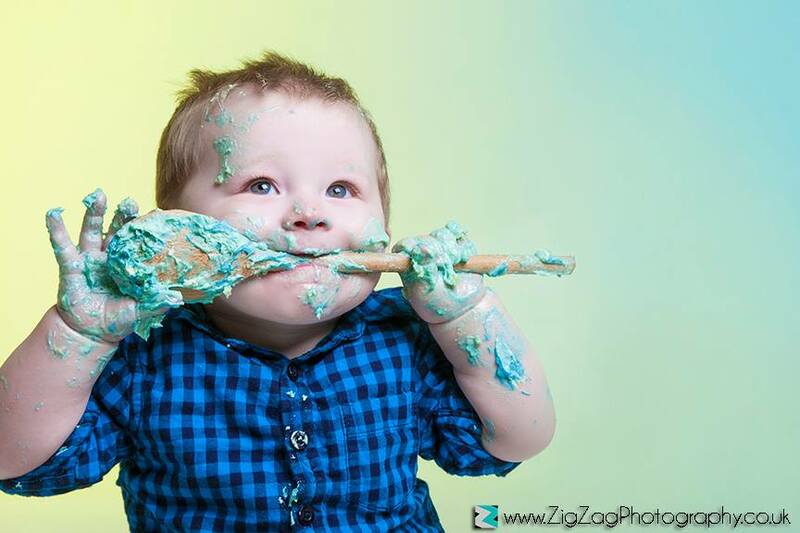 Cake smash is for 1 child only - a £50 supplement will be payable for any additional children. 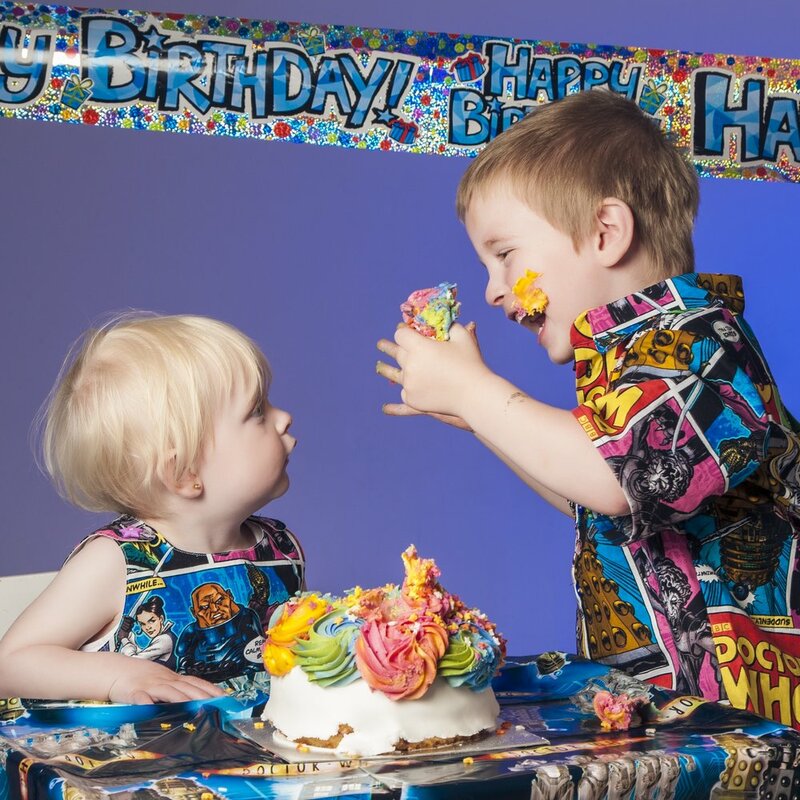 A further £25 supplement will be payable if you require a second cake.